At least I hope it is. Right now I'm sitting inside under a big blanket as a Nor'easter dumps a ridiculous amount of rain on New Jersey. Spring so far has been cold and wet. I'm ready to wear sun dresses and sandals, grill out on the patio and eat lots of ice cream! The weather forecast for next week is looking up and I'm hoping that means I can break out the chiffon dresses and ice cream maker! Not at the same time, but maybe! We'll see where the summer takes us! 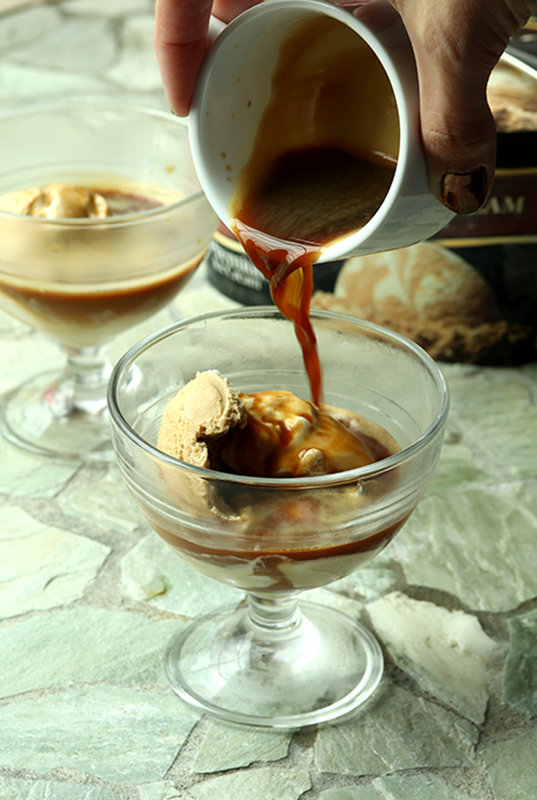 To get ready for the warmer weather, I'm putting together some fun ice cream recipes. 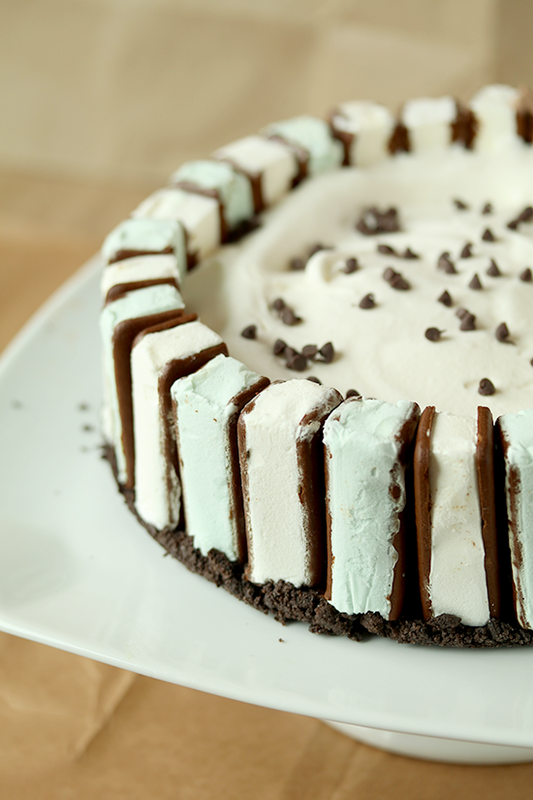 This Chocolate freezer pie was incredibly easy to put together but it totally impressive to look at! 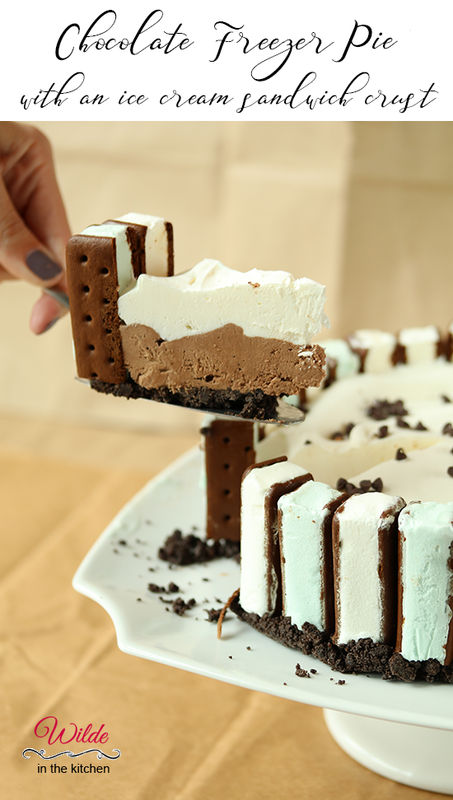 Plus, you get ice cream sandwiches in each slice! 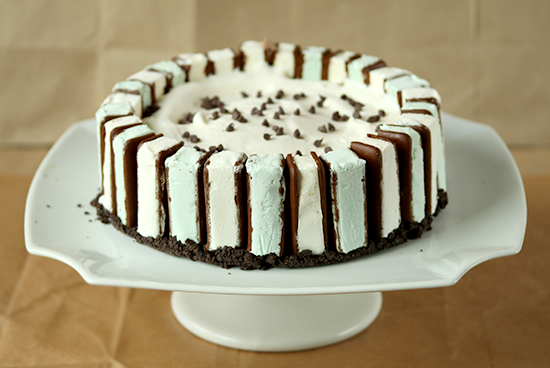 I made my crust out of Cool Mint and Sweet Cream ice cream sandwiches. It was a nice way to use up a box of ice cream sandwiches, because otherwise I would definitely eat the entire box myself. You should definitely give this pie crust a try! To be completely honest, I saw it on Facebook and thought it was a great idea. Admire and acquire! 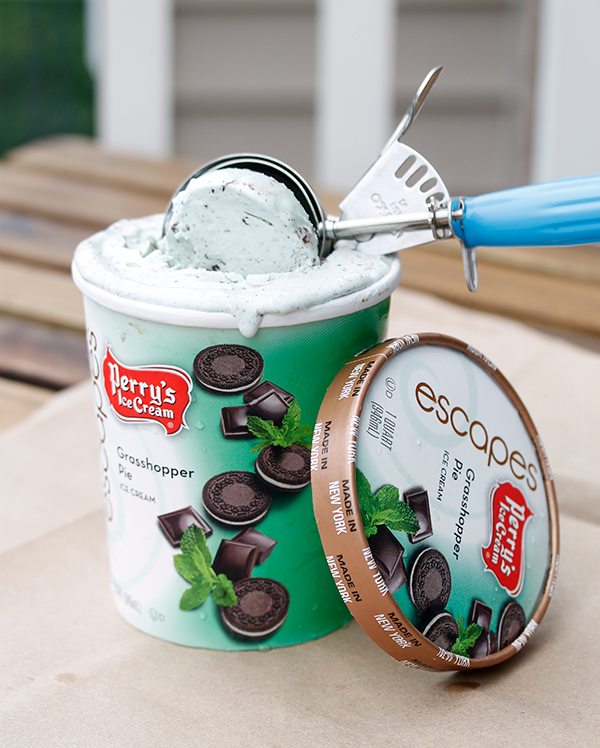 Disclaimer: As a member of Perry's Ice Cream Inside Scooper's program I receive seasonal flavors to test out! I receive no financial compensation for recipe development or posting. Perry's is made in my hometown and I've been enjoying their ice cream since grade school! Happy Valentine's Day! Or Happy February 14th? However you are spending today, I'm happy to bring you another delicious recipe. Personally, I am spending this evening on my own because I am traveling for work. Bad timing for meetings this week mean that I had Chipotle for dinner, by myself in my hotel room. So romantic! Though this isn't terribly different from how the boyfriend and I have spent many of our thirteen Valentine's Days. Eight of those years were spent as a long distance couple. We didn't even see each other for this holiday until four years ago. Needless to say, Valentine's Day isn't a big holiday for us! One holiday that I didn't know was a thing? February 13th - National Break-Up Day! Apparently the reasoning behind National Break-Up day is this - You've made it through the winter holidays (Thanksgiving, Christmas, New Years) and have made your parents happy by showing them that you aren't going to die alone. But here's the reality - you hate this person you're dating! In order to keep from wasting money on a Valentine's gift/dinner there is only one option - Break it off! I haven't taken part in National Break-up day. I just broke up with boyfriends on random days for all the normal reasons - he showed up drunk to a high school football game, or he didn't support my plan to go to grad school, he didn't realize he was gay. You know, the normal reasons. 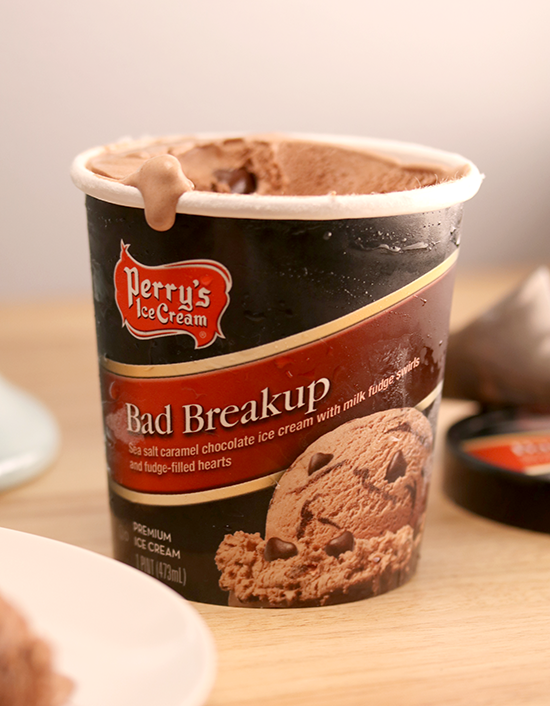 In honor of National Break-Up Day, Perry's Ice Cream has developed a new flavor - Bad Breakup. Sea salt caramel chocolate ice cream with fudge swirls and caramel-filled chocolate hearts. I'm so glad that it only comes in pint sizes. because I could seriously eat an entire quart of this stuff. If you haven't tried Perry's yet, hop in your car or get on a plane and fly to Western New York to get some. 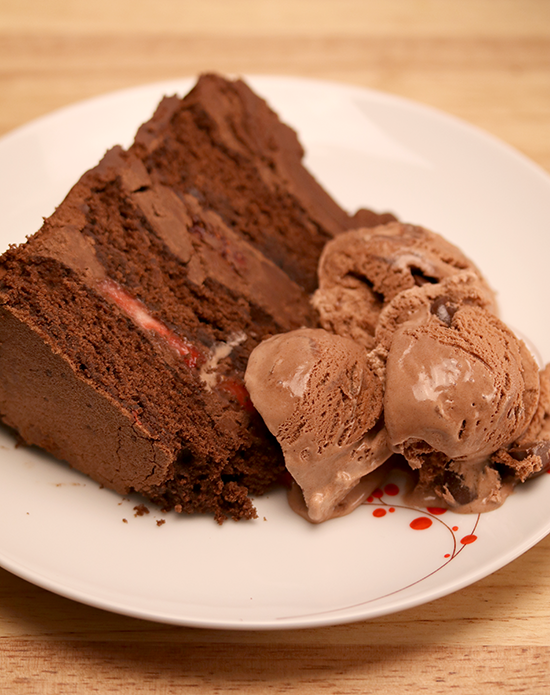 Since every breakup needs lots of chocolate, I decided to make a chocolate and strawberry cake to enjoy alongside. 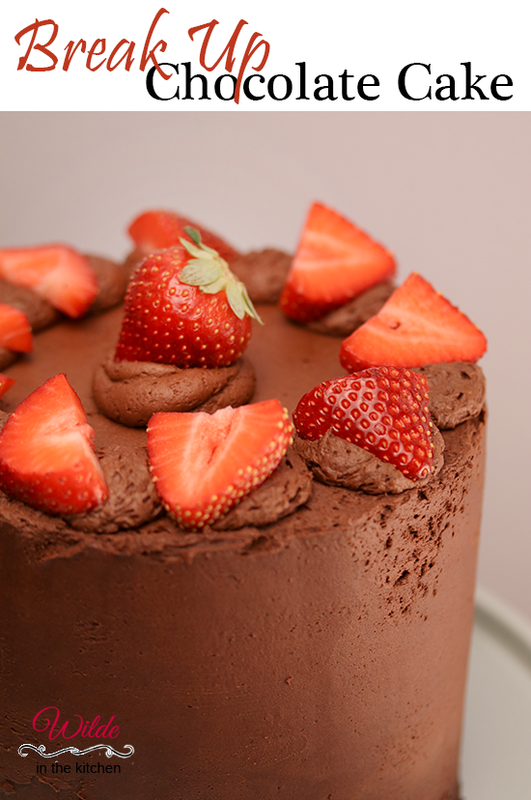 Chocolate and strawberries has too long belonged to the lovers on February 14th. 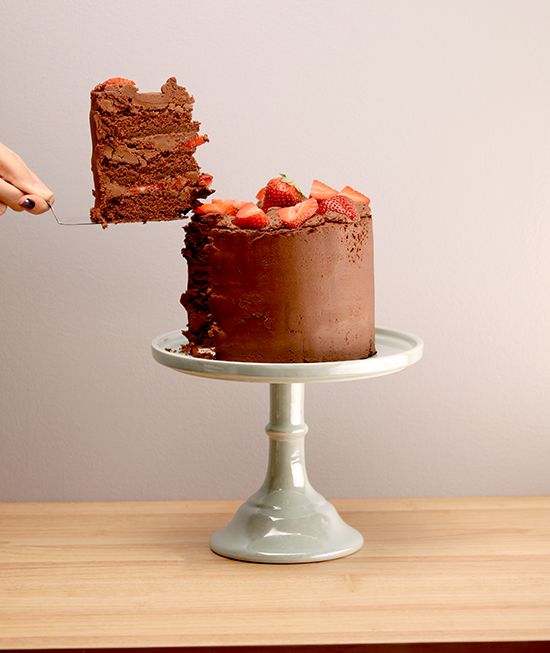 This chocolate and strawberry cake is for all the single ladies (and gentlemen!) who just want to indulge! 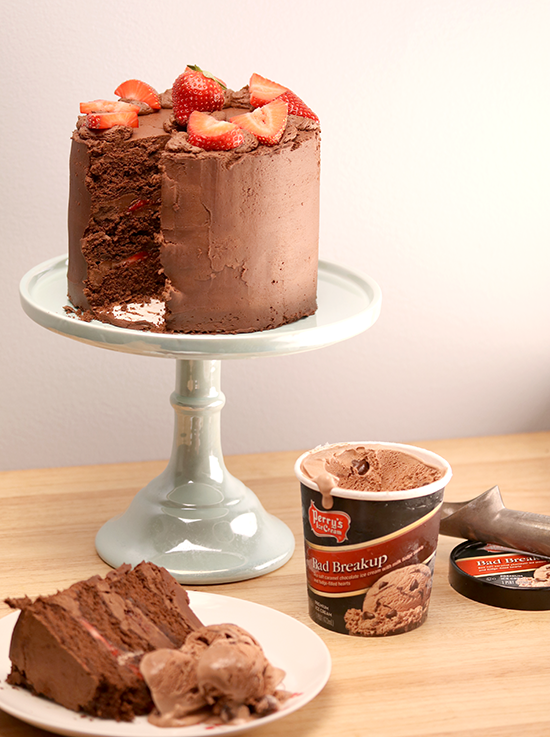 You don't have to be newly single to enjoy a big slab of chocolate cake and heaping serving of Bad Breakup Ice cream. I cleaned this plate while sitting on the couch with the boyfriend! No matter your current situation, if you are in need of a little cake and ice cream I'm going to recommend this combination! 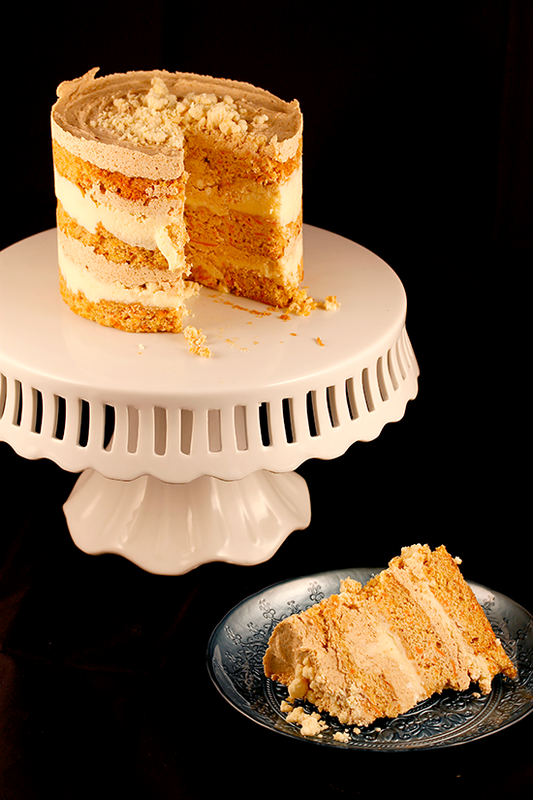 The recipe is for a 6-inch cake, just enough for a little dinner party or a week's worth of cake for a singleton. My recommendation though? Bring it to the office and butter up your coworkers! They'll complain, but be really happy at the end of the day. Happy Holidays Everyone! I've been crazy busy with my new job and haven't had a lot of time to blog recently. With the holiday season upon us, I knew that I had to do some baking and bring you a few seasonal recipes. Luckily, my department at my new job holds a holiday party each year! My department is so multi-national and multi-cultural, our holiday pot luck was a diverse array of curries, perogies and fried chicken. The entire office floor smelled amazing all day long! I decided to bring in a dessert that looked really fancy, but took no time at all to create. 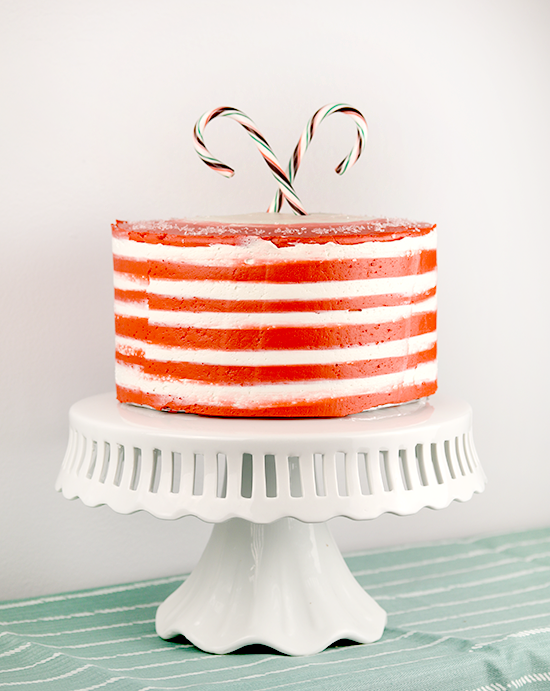 The striped peppermint frosting hides three layers of rich chocolate cake and chocolate frosting. I went with a homemade chocolate cake recipe, but you can definitely save time and use a box mix. 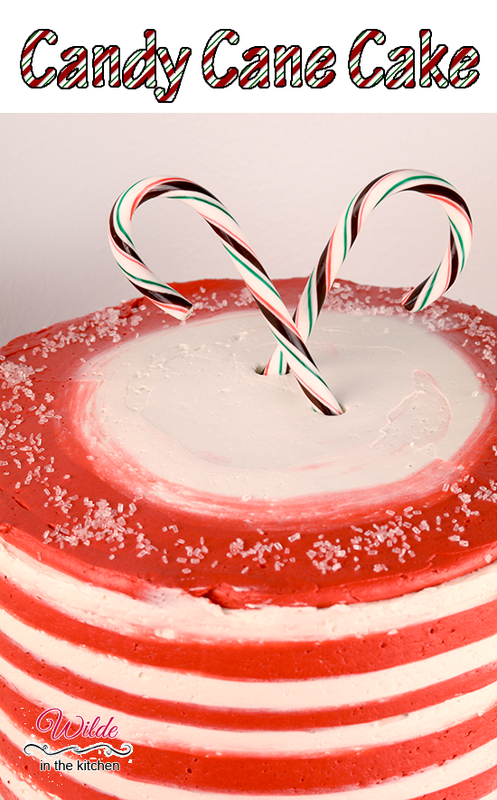 Just be prepared to use a lot of butter when you decorate this cake! There is a lot of buttercream on this bad boy. If you have the right tools, you can get this look in less than ten minutes. Just have a piping bag, turntable and bench scraper on hand and you can have a stripey cake too! Sorry there is no inside view of this cake. I didn't want to cut it before I took it to the office because I wanted it to look pristine for the party. I also wanted to see how long it would take for someone to cut into it! Are you ready for more recipes? I've been crazy busy over the past two months and haven't had a moment to make my own dinner, never mind making fun treats for WITK. What has I been doing? First, the boyfriend and I trained for and ran a half marathon! Second, I started a new job! The new job is along the same lines of what I was doing at my last company, but with much less international travel. I'll miss the monthly opportunities that I had to visit the far reaches of the planet, but I look forward to the new challenges associated with my new job! One of the important things about my new job is that my office is so much larger. My previous company was only seven people in an office. Pretty small when you want to bake a cake and feed the leftovers to your coworkers. These days I have so many happy coworkers to feed, I can't wait to ply them with sugary sweets. How else do you make new friends at work? I made these brownies a few months ago and fed them to myself. Luckily the recipe makes a smallish batch of brownie cookies and they store pretty well. 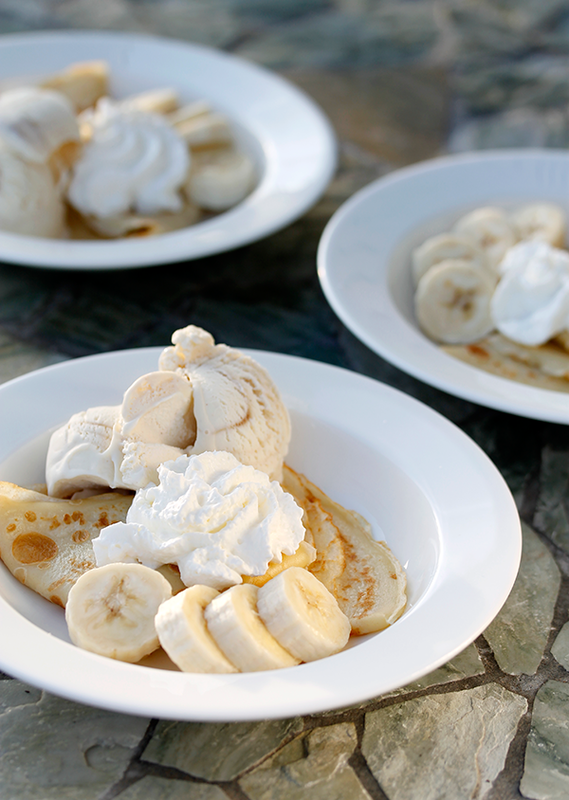 You can make a batch of these on Sunday and enjoy them all week long! With my new coworkers to feed, watch out for new recipes here in the kitchen! I'm ready for the holiday season and can't wait to get back to blogging. Yes! Ice Cream Cookie Dip! 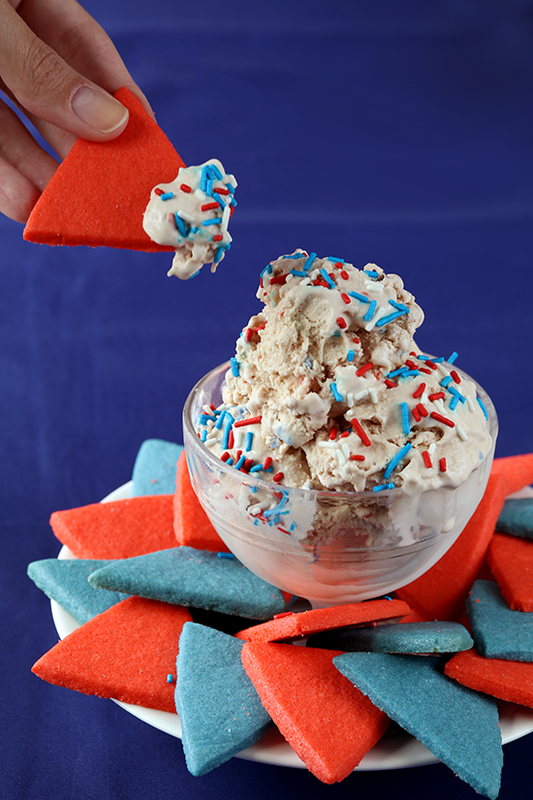 I'm sure you've seen the different types cookie dip floating around the internet. Most of these dips use cream cheese as a base and are all perfectly delicious. 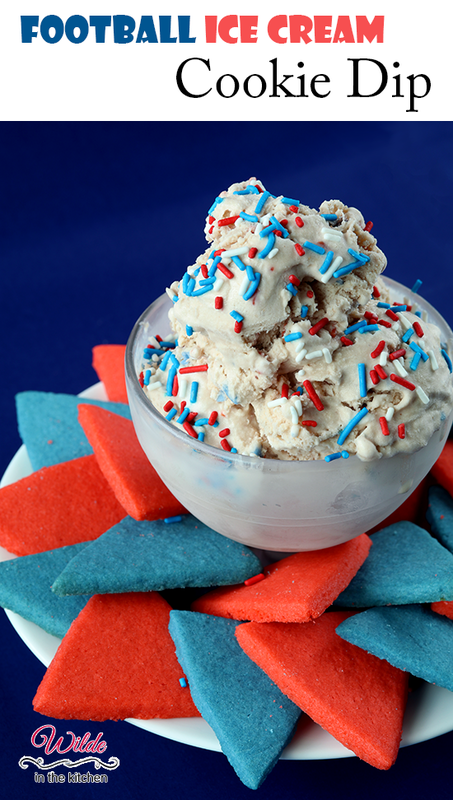 This cookie dip uses your favorite ice cream as a base! Basically, this is an excuse to eat a bunch of ice cream with an edible spoon. 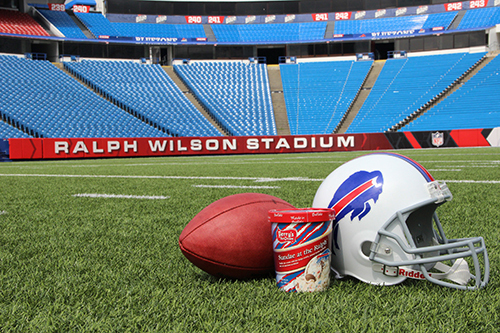 Continuing to celebrate my hometown and all things Buffalo Bills, I used the new Perry's Ice Cream - Sundae at the Ralph - to make my ice cream cookie dip. The ice cream has little peanut butter-filled footballs mixed in. These were a special bonus when scooping into the dip! 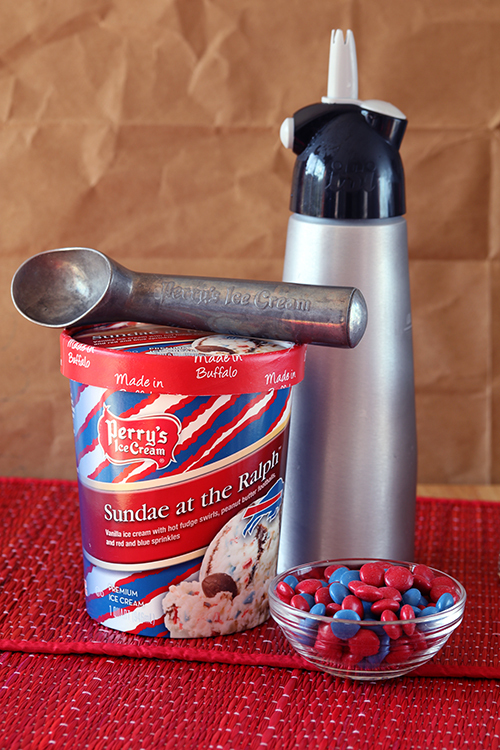 After working with this ice cream on several recipes, I find myself wanting to put on my old Zubaz pants. Unfortunately I haven't owned a pair of Zubaz since 1994. I think that either a. my mom has since donated them or b. I won't fit into my 13-year old self's pants. Disappointing. Are you ready for some TAILGATING!?!???!! Personally, I'm not really a football fan. I'm pretty sure my apathetic feelings for football come from being a child in Buffalo during the 1990's. While I don't really care for the sport, I'm all about tailgating. Actually, you can convince me to attend any sporting event as long as you promise me food. Want me to attend a baseball game? Buy me a salty soft pretzel. Your favorite team playing a hockey game tonight? Get me some nachos and I'll watch happily. Football? Invite me to your tailgate party and I'll dress in your team colors. 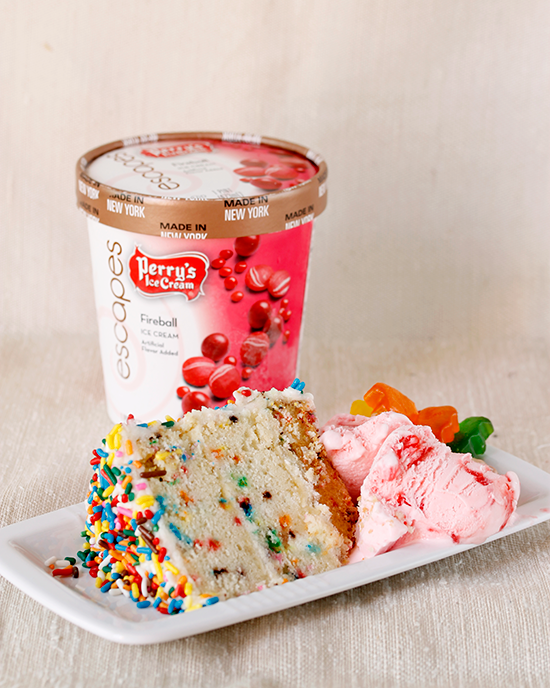 Over the next two weeks I am teaming up with Perry's Ice Cream to celebrate the beginning of football season with ice cream and tailgating treats! While ice cream might not be the most common tailgating treat, Buffalo fans are used to freezing temperatures and snow! Perry's created their newest flavor - Sundae at the Ralph - with vanilla ice cream, peanut butter footballs, chocolate swirls and red and blue sprinkles! It's so Buffalo. Watching the game from home? 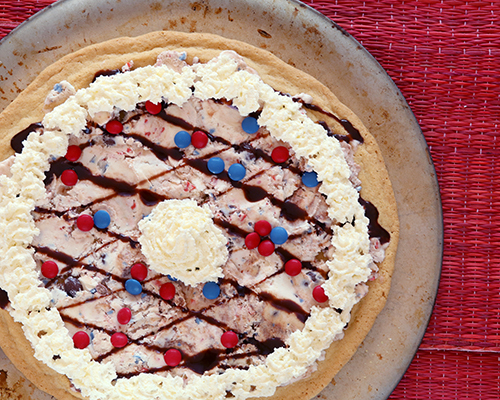 You can prepare this ice cream pizza for your friends and let them choose their own toppings. Not in the WNY region and can't get your hands on Perry's? Simply use your favorite brand of vanilla ice cream and sprinkle on some candies in your teams colors. Disclaimer - As a member of Perry's Ice Cream "Inside Scoopers" team, I receive samples of seasonal ice cream flavors. I receive no other compensation for recipe development and posts. I only work with brands that I love and as a hometown Buffalo girl, Perry's is in my blood! 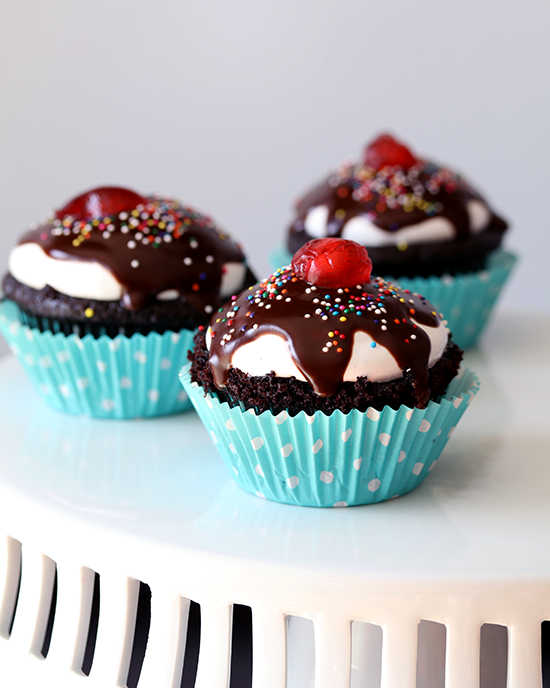 I'm constantly on the hunt for the perfect chocolate cupcake recipe. I think this one comes pretty close to perfect! The cake is soft and fluffy. 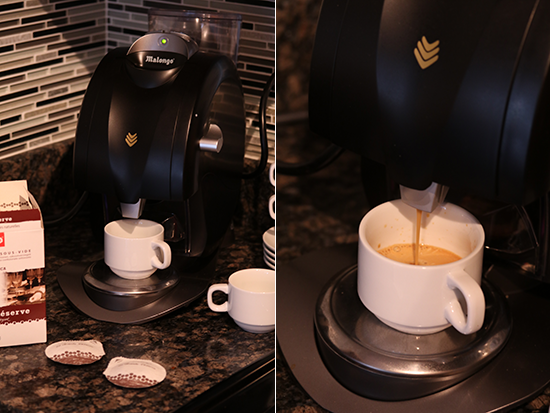 The flavor is rich, with the perfect combination of chocolate and coffee. They bake up round and don't fall when cooling. I think I've found my new favorite chocolate cake! 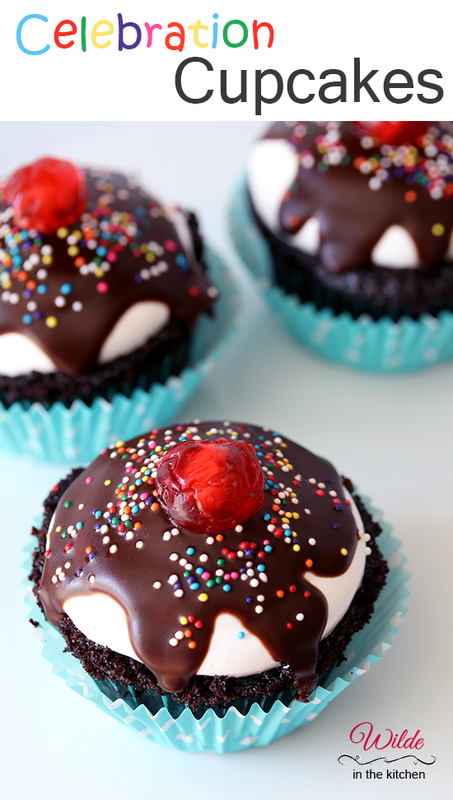 I've called them celebration cupcakes simply because they make me so happy! The fluffy, white marshmallow frosting paired with the shiny chocolate drizzle and colorful sprinkles make this cupcake the perfect one to bring to any special event. Even though they look like they took all day long, each component of the cupcakes comes together really fast! I made the cupcakes while my lunch was heating up in the microwave. The frosting requires a bit of attention to heat the eggs, but then you toss it in the stand mixer and walk away. The chocolate glaze is as simple and melt, mix and drizzle. 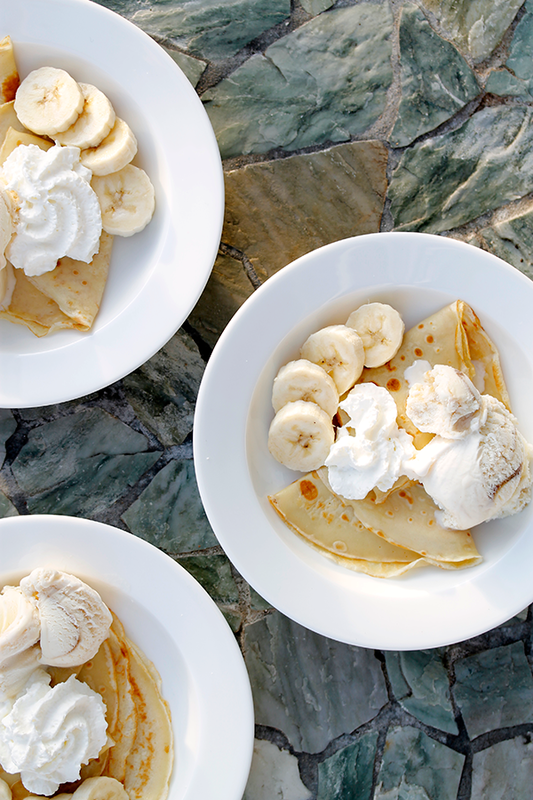 Trust me, you can make these treats in under two hours. If you have helpers, you can probably knock them out in an hour! I don't really have anything special to celebrate right now, so I'm sending these cupcakes to work with the boyfriend! Otherwise, I'll eat the entire batch. Maybe in a few weeks we'll have something to celebrate in the Wilde household. Until then, I'll try to eat healthy this summer and keep my cupcake consumption down to one per day! Summer has unofficially arrived! I had planned to post these treats a week ago, but silly work got in the way. I was off in Chicago for a conference and completely neglected to share these before I left. 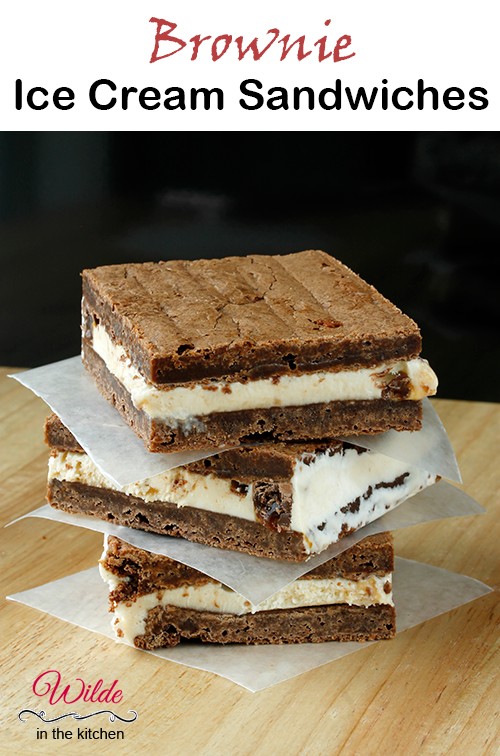 Thankfully photos don't go bad and these ice cream sandwiches will be amazing all summer long. I made something similar last year, but with a different brownie recipe. This recipe (inspired by Cookies & Cups) worked so much better for this purpose! The thin brownies are soft and chewy and perfect to eat right out of the freezer. No need to wait before diving in with your face! As per usual, I only celebrate summer with Perry's Ice cream. 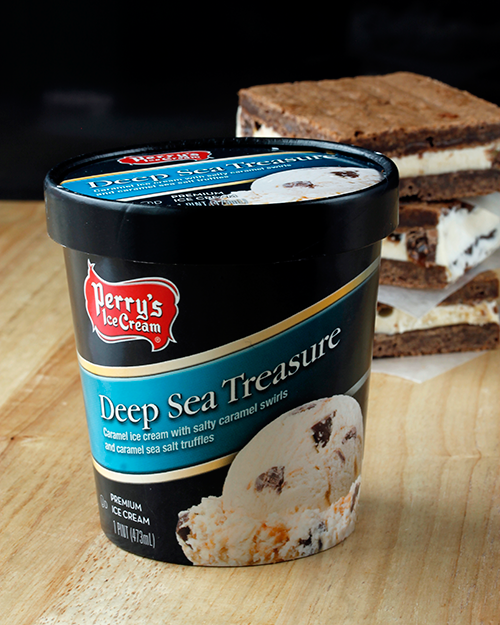 These brownie ice cream sandwiches were made with the new summer flavor - Deep Sea Treasure. It's caramel ice cream with salted caramel swirls and chocolate bits and paired really well with the sweet and chocolaty brownies. If you aren't in the Perry's Ice Cream shipping zone (Western NY & PA), you can fill these brownies with your favorite flavor. I can't imagine a flavor of ice cream that wouldn't pair well in this recipe. I cut the recipe into six ice cream sandwiches and thought they were a little bit big. 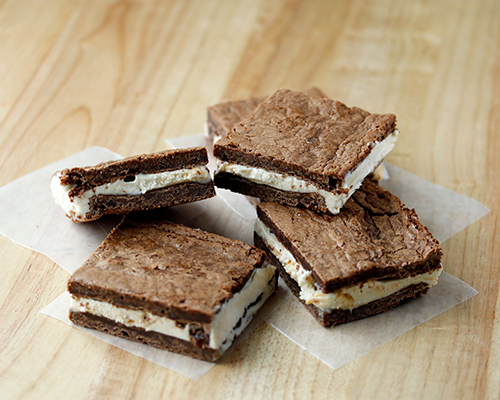 You might want to cut the slab of browniewich into eight bars when making these yourself. 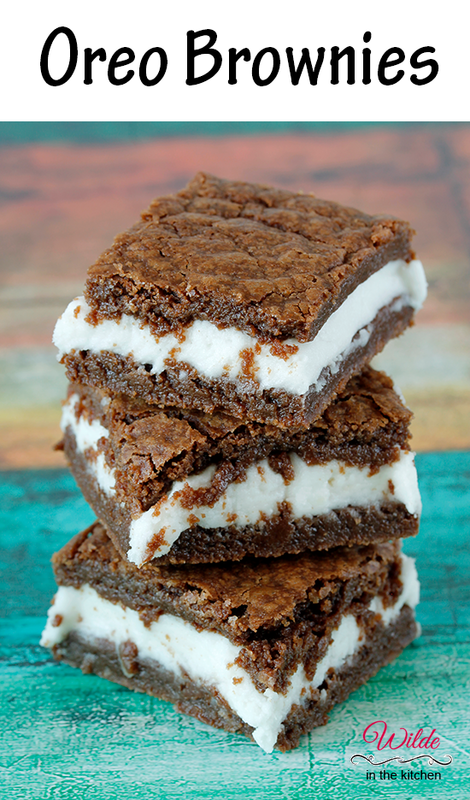 If you want an even thinner layer of brownie, try making them in a 10x15-inch sheet pan! 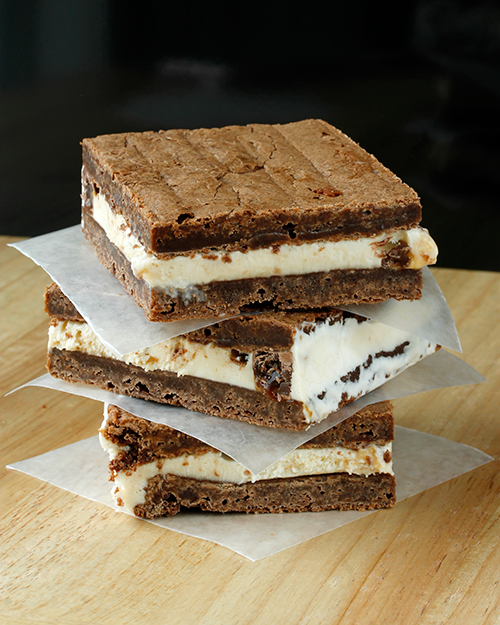 You can personalize these browniewiches in so many ways. Add chocolate chips to the brownies! Dunk them in chocolate magic shell! Roll the edges in chocolate sprinkles! Make them your own and then share them with your favorite people. Disclaimer - As a part of Perry's Ice Cream Inside Scooper team, I received several pints of the new summer ice cream flavors. I have been a fan of Perry's ever since I was a kid in school. I only work with brands that I love and enjoy and all opinions are my own. Other than free ice cream, I receive no compensation for posting. 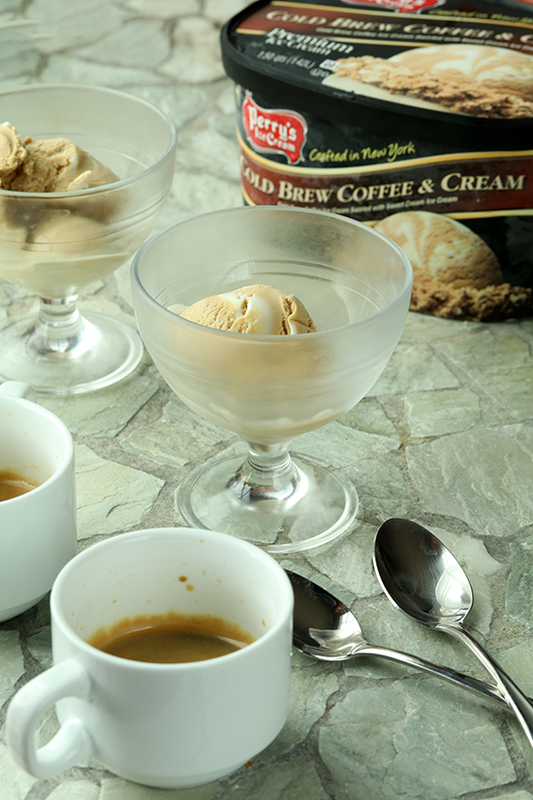 With the unofficial start of summer here, it's time to celebrate all things ice cream! 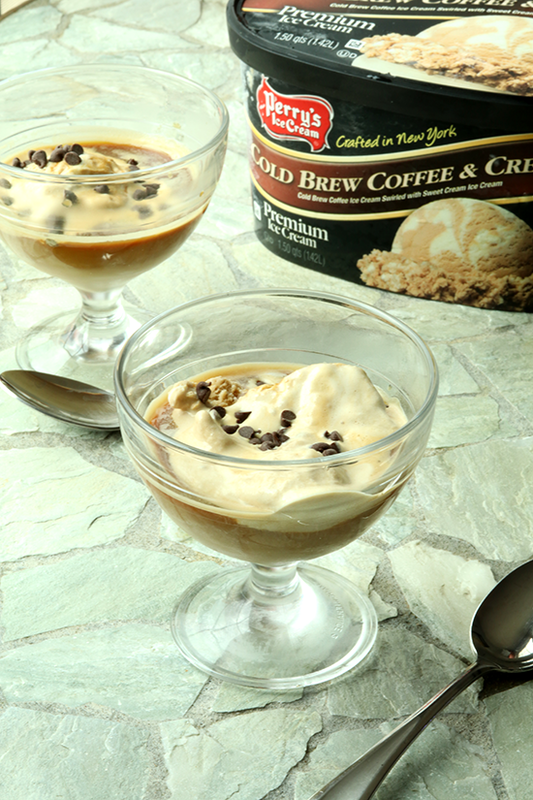 All this week we will be enjoying ice cream-based recipes to help keep you cool all summer. 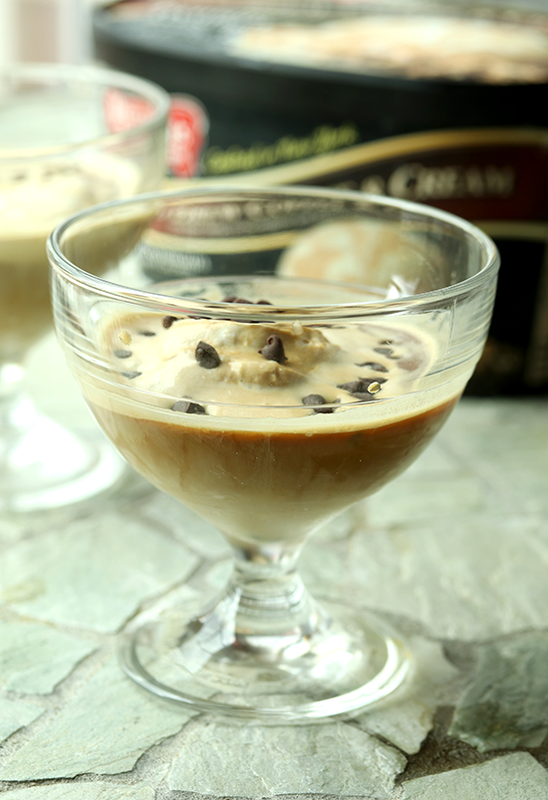 Today we start with a classic summertime recipe - the ice cream float. I remember drinking many floats during my summer vacations. I think they consisted of cherry Crush poured over vanilla Perry's Ice Cream. 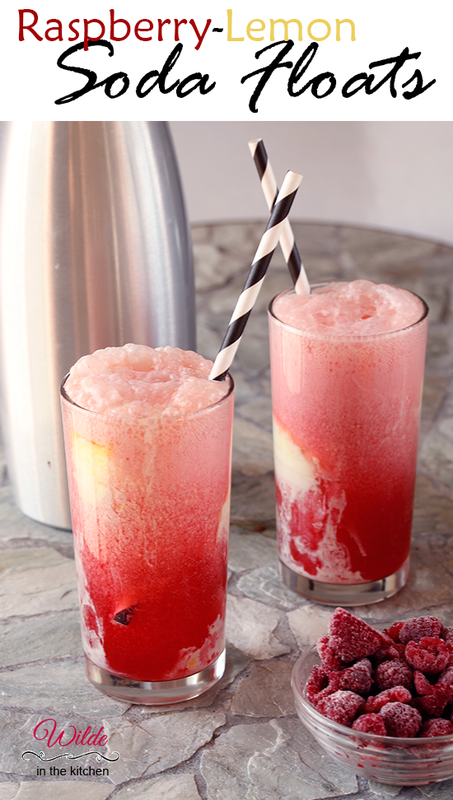 For ice cream week 2016, I decided to amp up my ice cream float with a homemade soda and a new Perry's flavor. 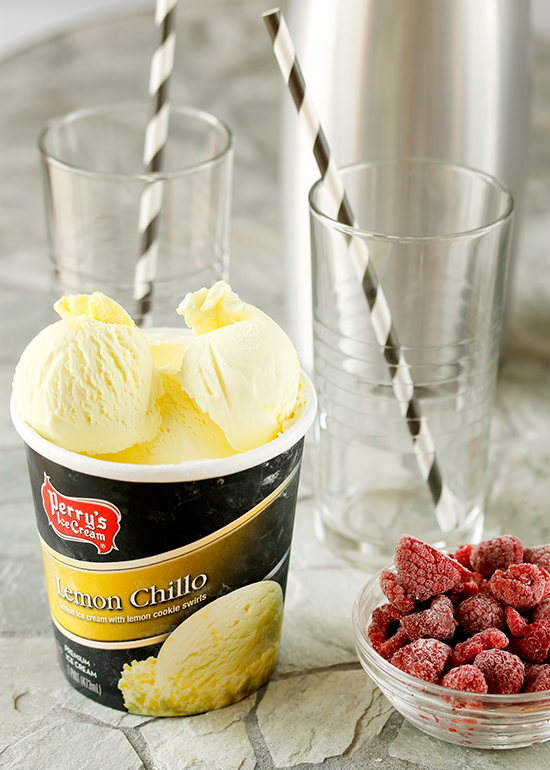 The ice cream featured in my raspberry-lemon soda floats is called Lemon Chillo. It's a lemon ice cream with cookie swirls. If you don't have access to Perry's Ice Cream (i.e. you live outside of the WNY area) you can go ahead and use a lemon ice cream or sorbet. The raspberry soda comes together really quickly too. 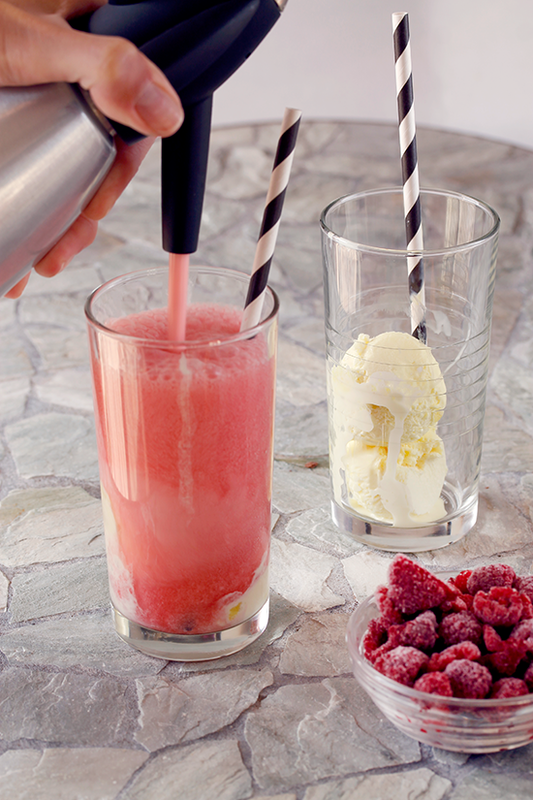 The only ingredients you need are raspberries and sugar! I carbonated my soda with a siphon, but you can use bottled, plain seltzer water if you haven't bought a siphon yet! Disclaimer - As a member of Perry's Ice Cream Inside Scoopers team, I received the new summer ice cream flavors to test out. 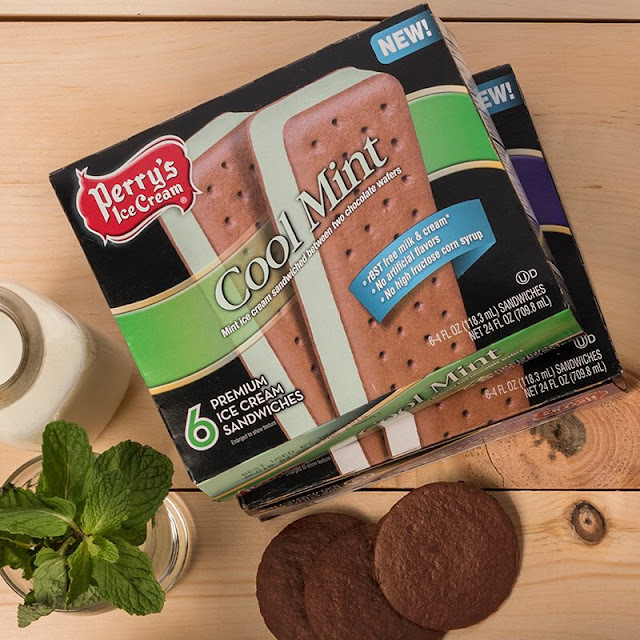 I've been enjoying Perry's Ice Cream since I was a kid and I'm so happy to be able to support a locally owned and produced (and delicious) product. Other than free ice cream, I have not received any compensation for this post. All opinions are my own and I totally ate all of the ice cream they sent me. All by myself. I'm wrapping up my fun with ice cream! Today it's all about bringing back childhood memories. We're doing that with sprinkles. 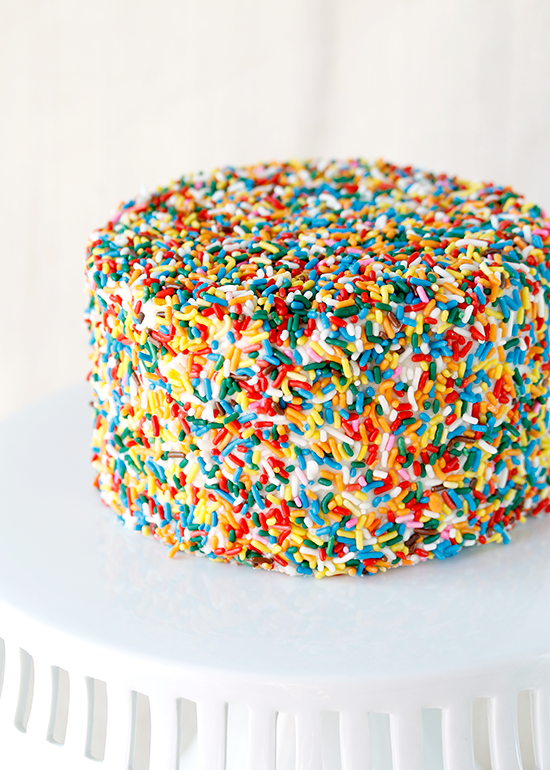 Lots and lot of sprinkles! I've been seeing a version of this cake around the internet and have been dying to make it in my kitchen. 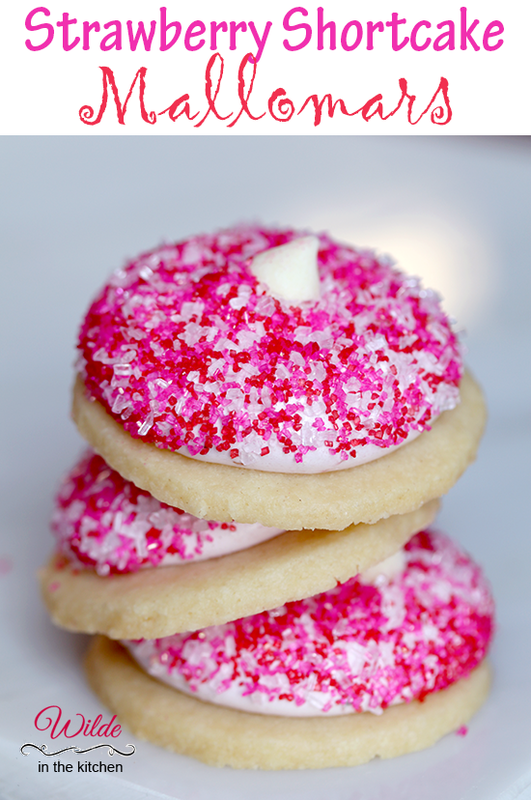 I mean, look at all of those sprinkles! It's so pretty! It's also seriously easy to do. 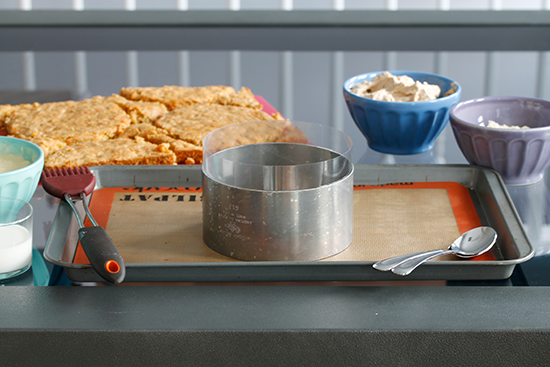 No need to worry about smooth icing, piping bags or imperfections. 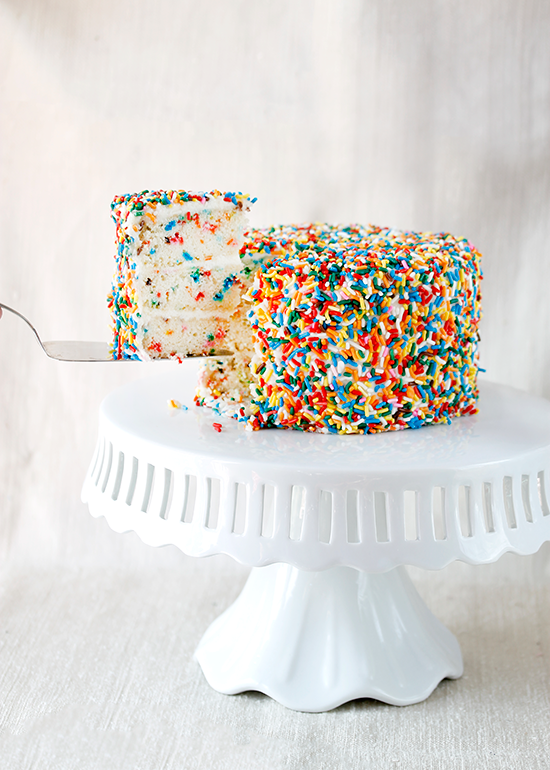 Just cover your cake with frosting and pour on the sprinkles. I didn't stop with just sprinkles on the outside, the cake is also filled with adorable bursts of color. This is the perfect cake for a birthday, whether the birthday person be eight or eighty! Just be sure to stock up on sprinkles, you'll need a whole bunch of them. It isn't a birthday celebration unless there is ice cream to go along with your cake. 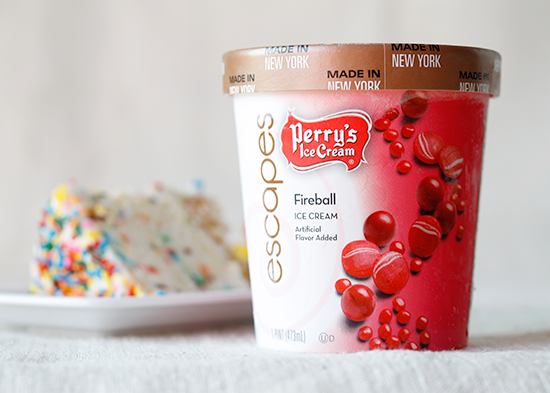 As soon as I saw this Fireball ice cream among the flavors from Perry's escapes, I knew it would be the perfect pairing with my vanilla sprinkle cake. Nothing reminds me more of middle school than fireballs and this ice cream tastes exactly like the classic candy. 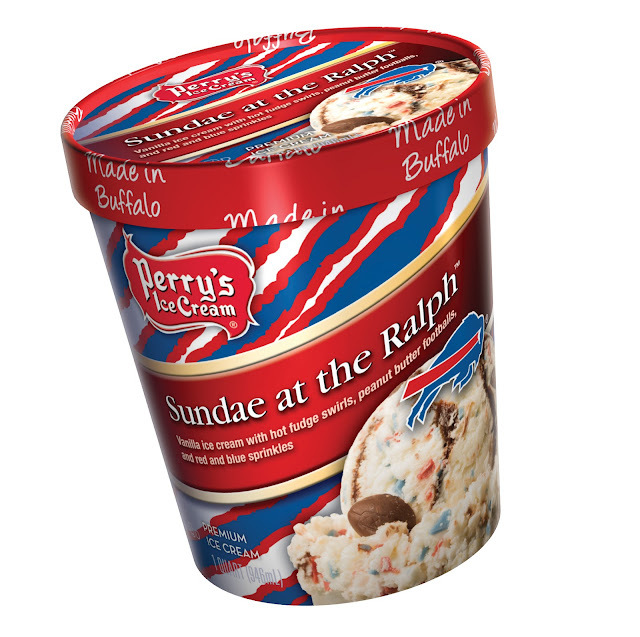 If you are in the region that sells Perry's Ice Cream, you should definitely go and try out this flavor. I was so surprised at how dead on the flavor was in this ice cream. It has a strong cinnamon and spice flavor, with little bits of fireball candy mixed throughout. You definitely don't need to eat an entire bowl of this stuff, a scoop with your cake will totally satisfy. Feel like a kid again. 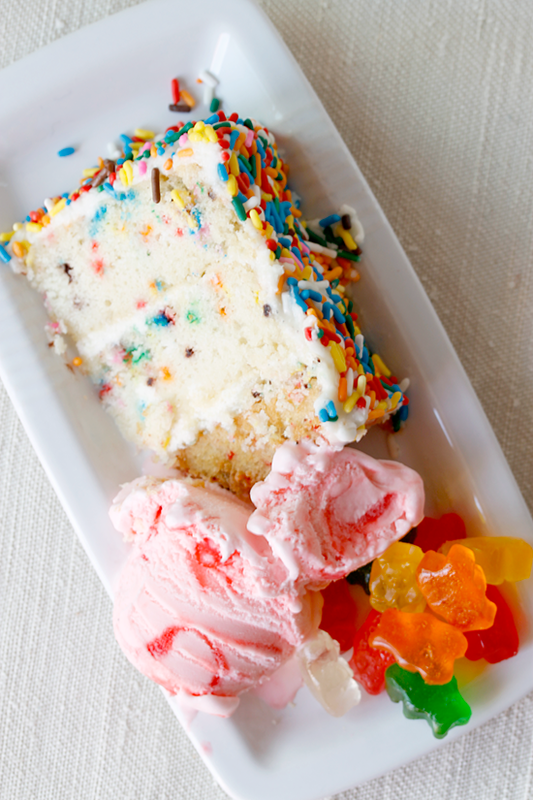 For your next celebration eat lots of sprinkles and ice cream! It's day two of ice cream week! Today we're enjoying ice cream sandwiches, made with the biggest, richest cookies around, filled with ice cream, which is filled with more cookies! Ice cream sandwich Inception! Summertime is ice cream sandwich time. Who wants to be tied to a bowl and spoon? With these bad boys, you're free to leave the house, roam the world and still eat ice cream. So perfect. 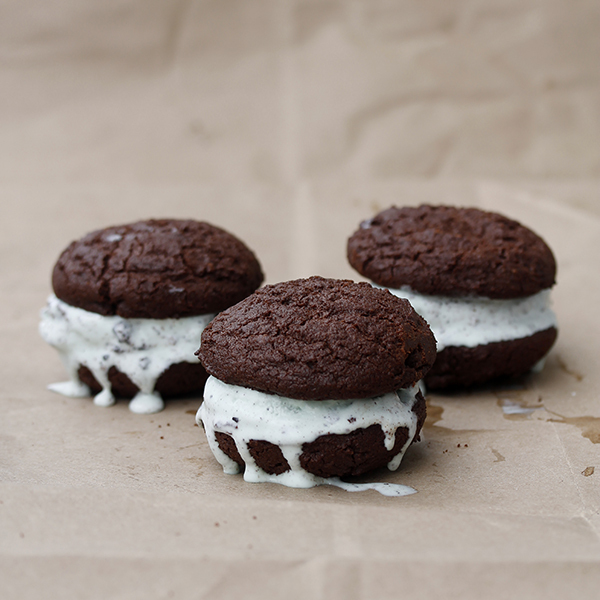 These particular ice cream sandwiches might be the perfect thing to share with a friend. The cookies are enormous and putting two of them together gives you something the size of a baseball. 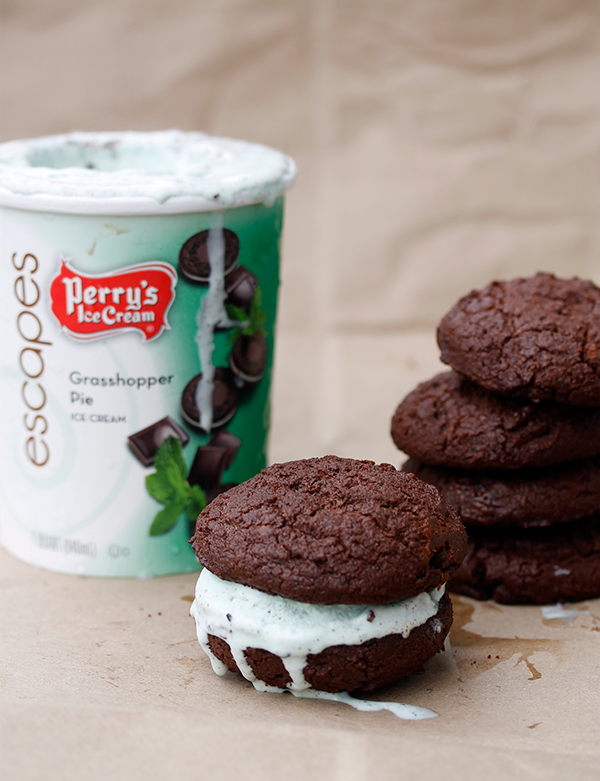 I decided to pair Perry's Grasshopper Pie with these rich cookies. 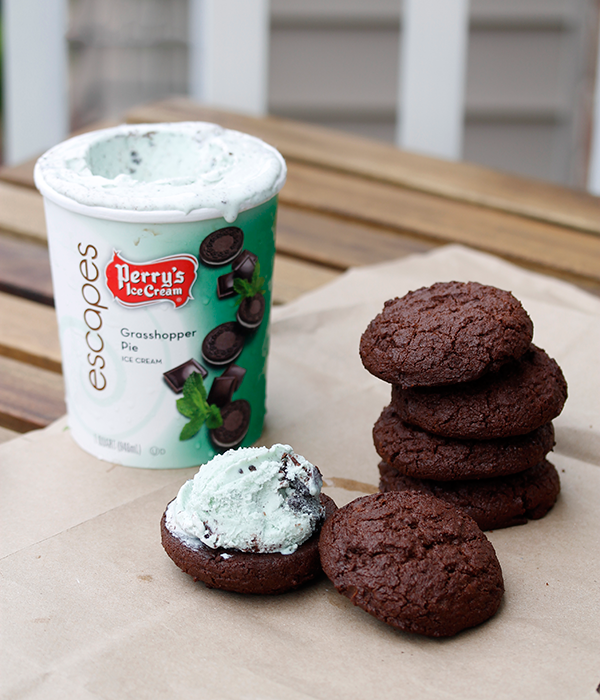 The mint flavor of the ice cream is smooth and not overpowering. There are also crushed cookie pieces and fudge swirls throughout. 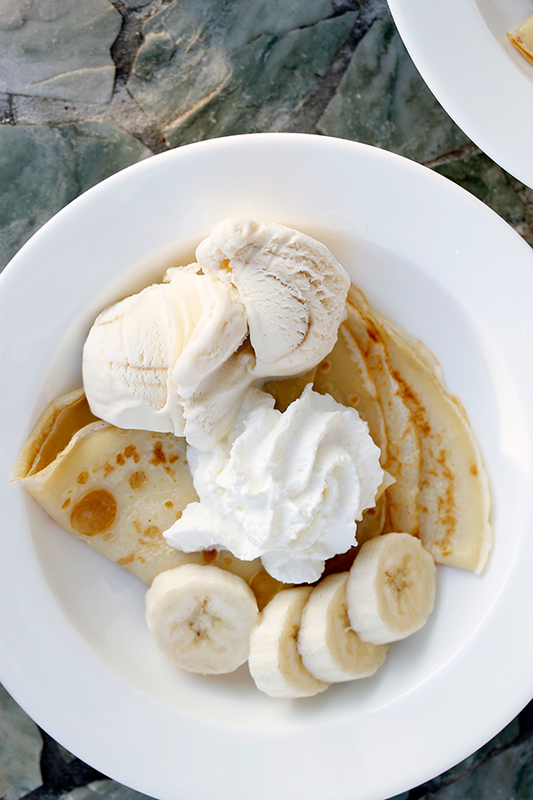 The combination is totally decadent. I only made up a few sandwiches with the Grasshopper pie flavor. I'm thinking these cookies would also be amazing with the Cocoa-Nut Bliss flavor - coconut ice cream with chocolate covered almond, fudge pieces and shredded coconut. What would you sandwich between these chocolate cookies??? 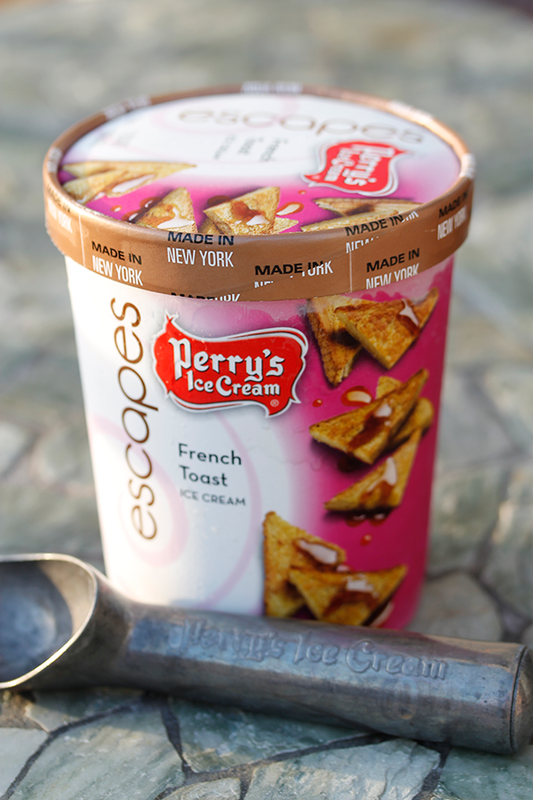 Disclaimer - As a member of their Inside Scoopers team, Perry's Ice Cream supplied me with a bunch of their new Escapes flavors. All opinions are my own. I'm only so happy to support this hometown brand because I grew up eating Perry's and they make a damn delicious ice cream! Ready for some more Peep-shaped treats? How about the easiest of all things to make? 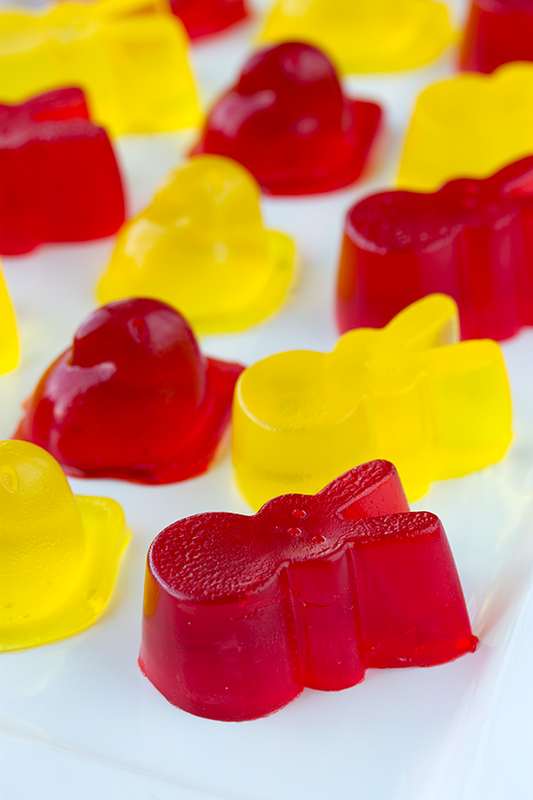 Honestly, I happened to have four packages of Jell-O in my cupboard (because I know someone who works at Kraft Foods) and thought this would be the perfect reason to use them! 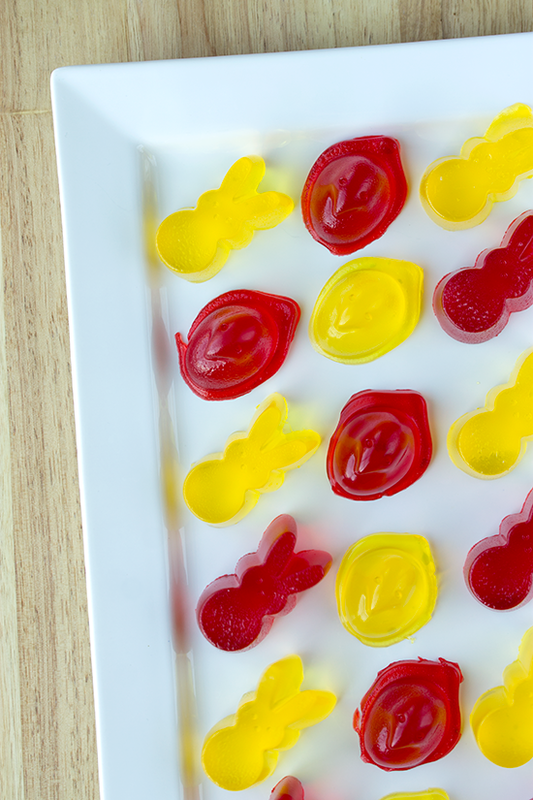 Of all the Peep-shaped treats, these came out truest to the mold form. Have yourselves a fun weekend! I'll be busy trying to figure out what else I can make in peep shapes with these molds! Every once and a while, you have to make something a little extra special. 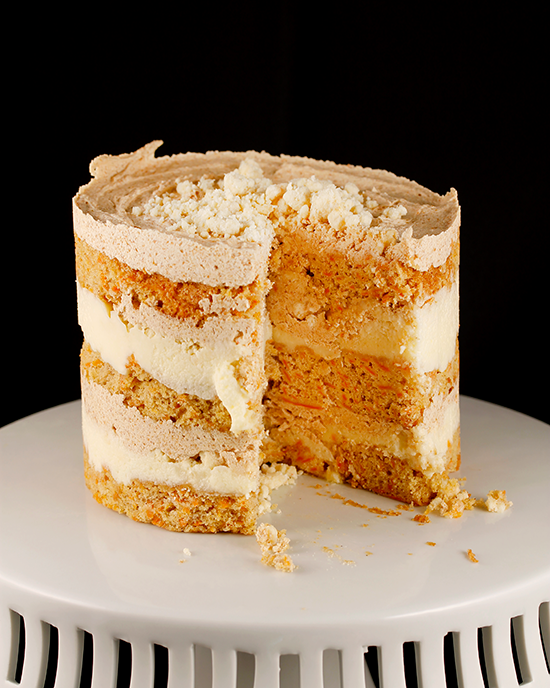 Any Milk bar recipe qualifies as just that, over the top, but it requires a little preparation. Okay, a lot of preparation. 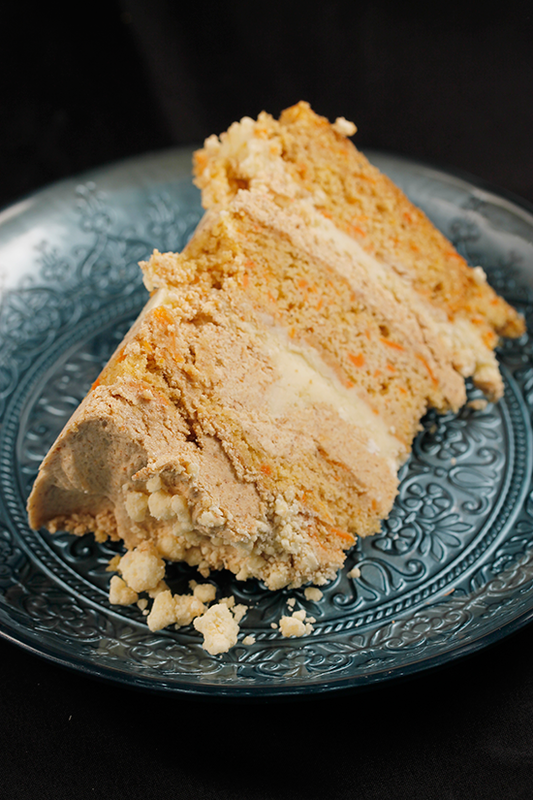 This recipe asks you to make a cake, graham cracker crust, frosting, liquid cheesecake and crumb. I would recommend making this recipe over the course of two days. Or one long snow day. That's what I did! While it took several hours to complete this cake, the end result is worth the effort. The cake is soft and tender. The frosting is rich with graham cracker and butter. My only complaint? The original recipe is a bit too salty, which is a common issue with Milk bar recipes. The recipe below has the salt content tweaked a little, but is otherwise true to the original. Be sure to share this little cake with friends and family, there is no way you will be able to (or should) eat the entire thing on your own. A small slice will do you, don't let your eyes be bigger than your appetite!